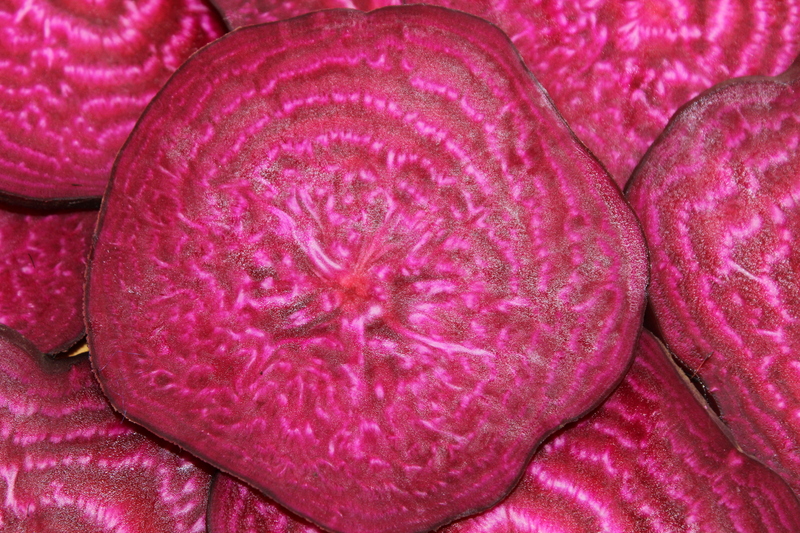 Color is the theme of this vibrant and hearty side dish that delivers both bold flavors and textures. 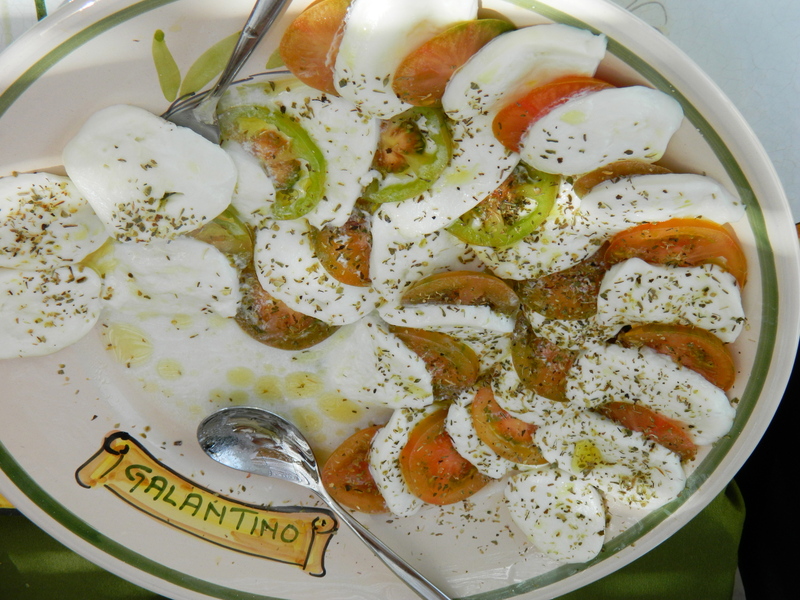 Reminiscent of something Italian, it is the picture perfect picnic dish. 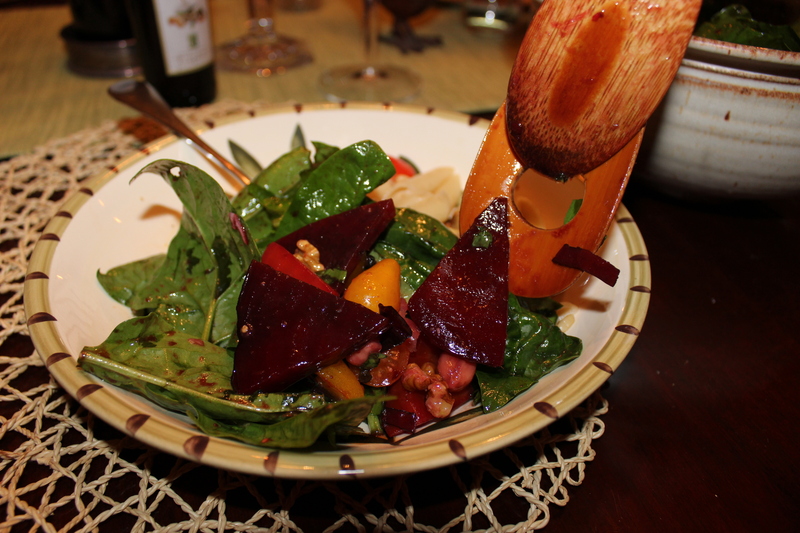 Using a mandoline or vegetable slicer will make quick work of prepping the veggies. Be sure to slice them thinly, 1/8″ – 1/4″ thick, or you will be waiting forever for it to finish cooking. 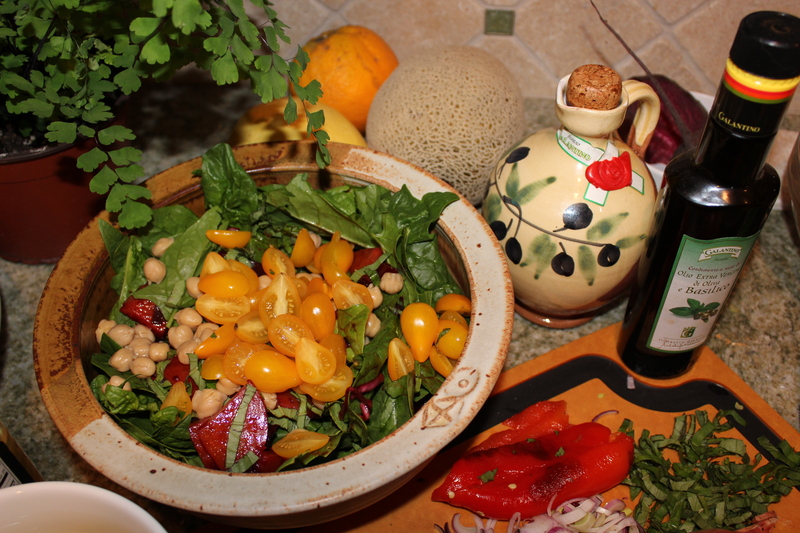 I used my herbal olive oils from The Virtuous Olive, to really push the flavors. It’s ok to use different veggies from the ones I chose. Just paint your palette and be prepared for rave reviews! Preheat oven to 350 degrees. Lightly oil an 8 X 10″ pan. The size of the pan is not important. If you are feeding a crowd, use a larger pan and prep more veggies. Toss veggies lightly in Extra Virgin Olive Oil. Layer zucchini slices along the side of the pan. 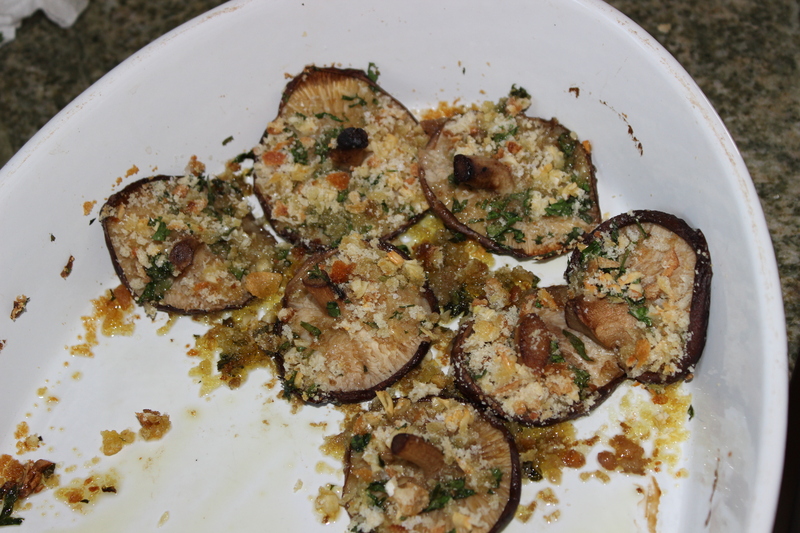 Sprinkle with garlic, scatter the herbs and lightly salt. Repeat layering with tomatoes, garlic, herbs and salt, then the eggplant, garlic, herbs and salt. 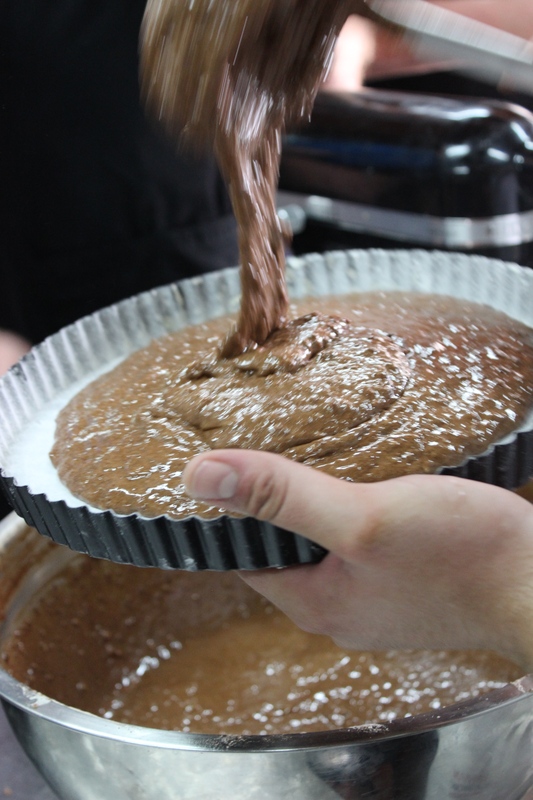 Continue layering until you’ve reached the end of the pan. If there are gaps, like I had in mine, roll up thin slices of zucchini and tomato to form mini roses. They serve a purpose and look pretty too. 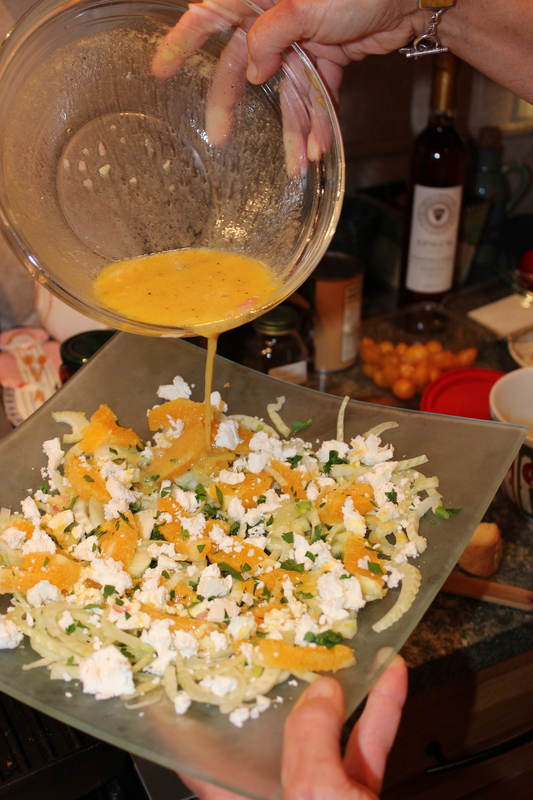 Drizzle entire dish with Bel Tocco Extra Virgin Olive Oil or Basil Extra Virgin Olive Oil. 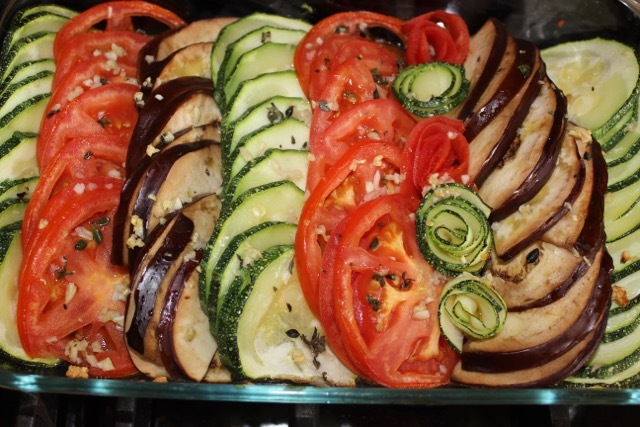 Bake for 1 hour or until veggies are soft but not soggy. Let cool and serve either warm or cold. 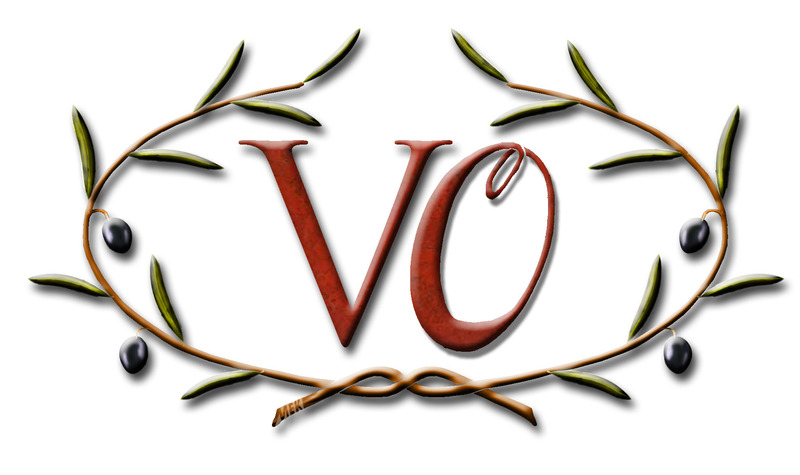 It’s been a busy month and I am happy to announce that my new enterprise, The Virtuous Olive is up and running. The shop is stocked with fruity oils, natural and flavored. 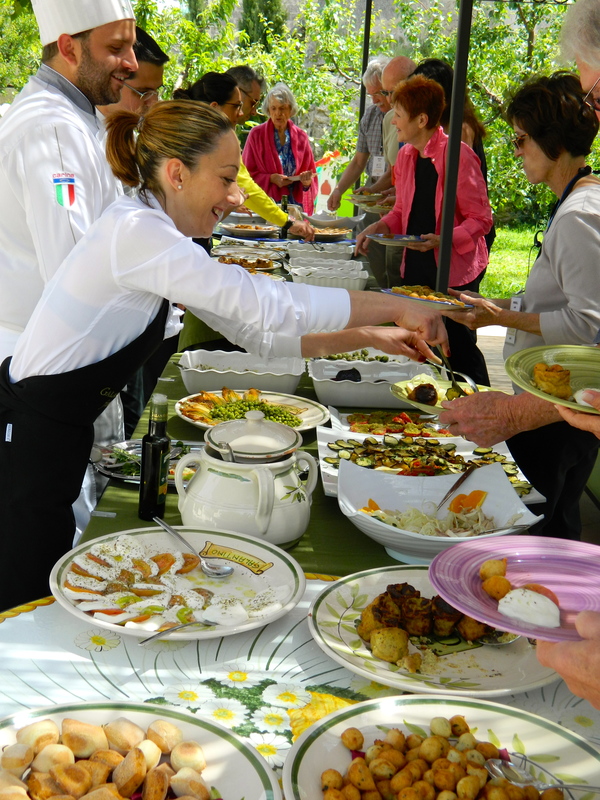 My goal is to bring a taste of the true Italy to your table. 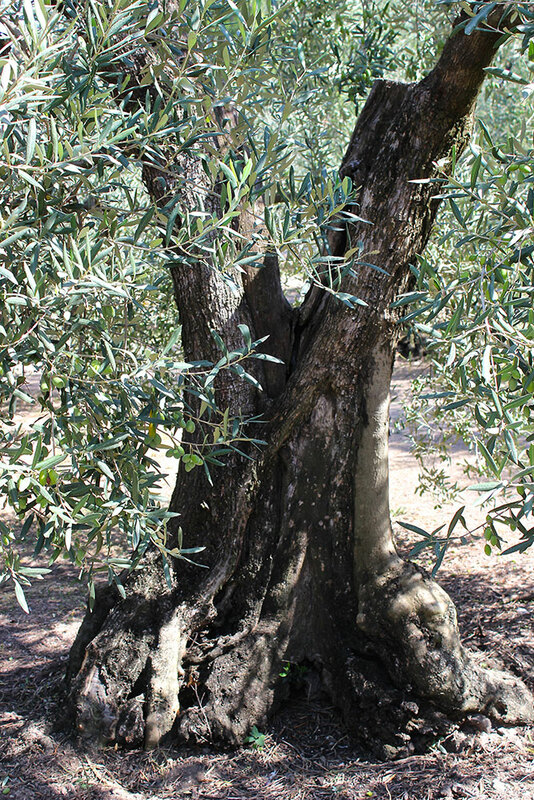 These photos are from La Fenice, Galantino’s personal olive estate near beautiful Bisceglie where I visited this last month. I hope you visit my site! There is something for everyone’s taste, I promise. I will be back next Wednesday with more tales from my recent trip to Italy so stay tuned. 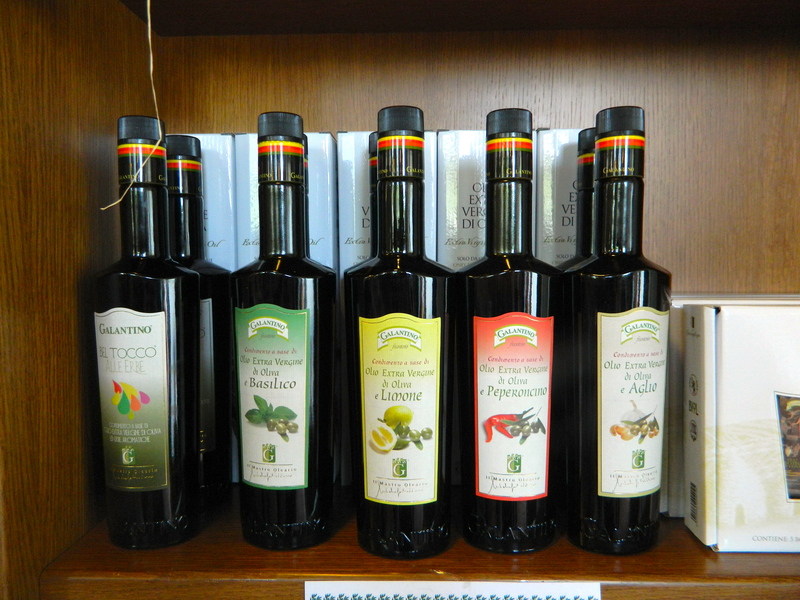 Olive oil is so – Italian! Its warmth and/or sassiness can jazz up almost any dish, imparting different nuances for whatever food you want to enhance. 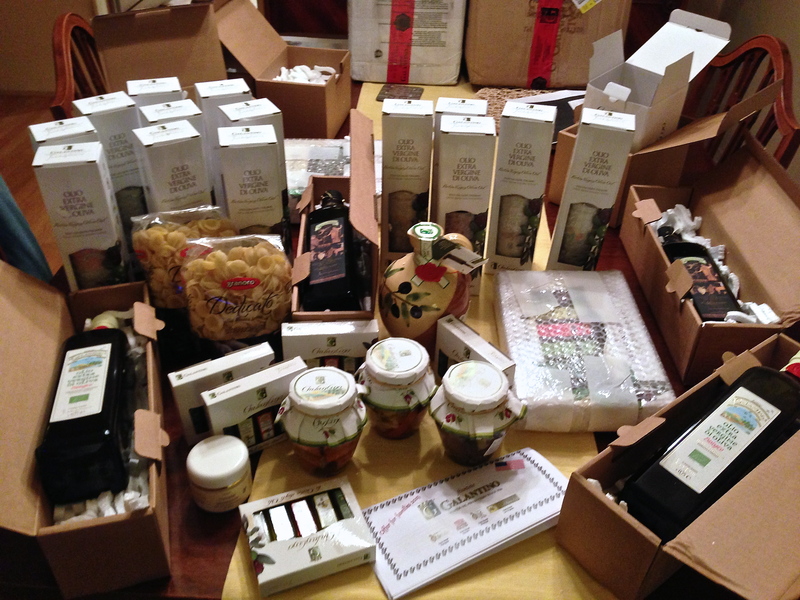 The Italians are proud of their olive heritage and like to joke that butter is “forbidden” in Pulia. 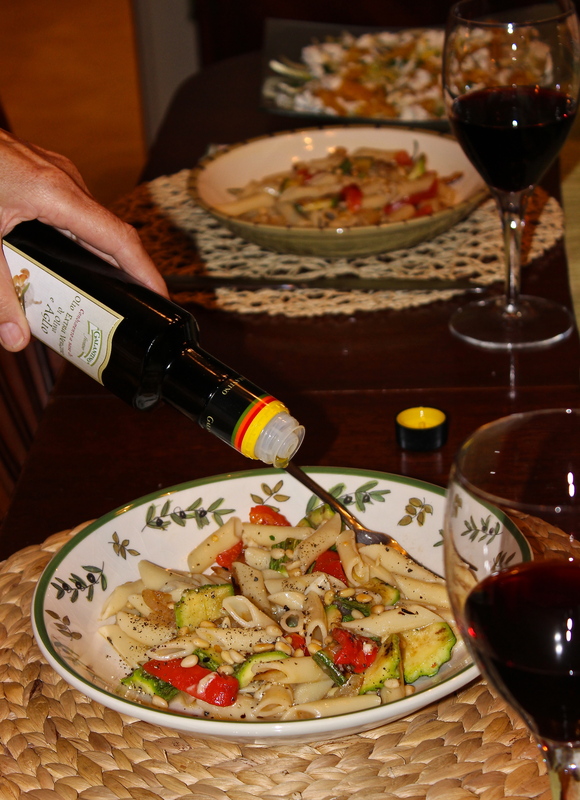 Instead of butter at the table, one often finds a bottle of local oil for dipping bread or topping off pastas and salads. 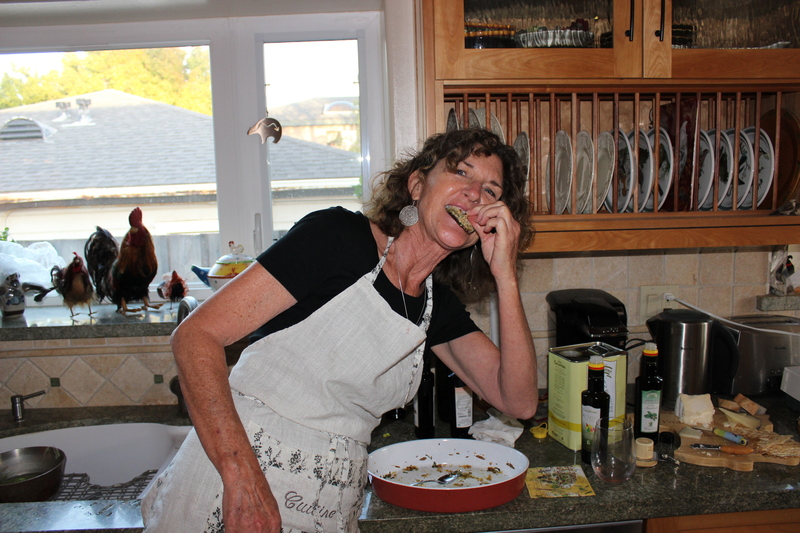 I am “in amore” with olive oil and use it daily but now have a renewed appreciation for its origin and its flavor. 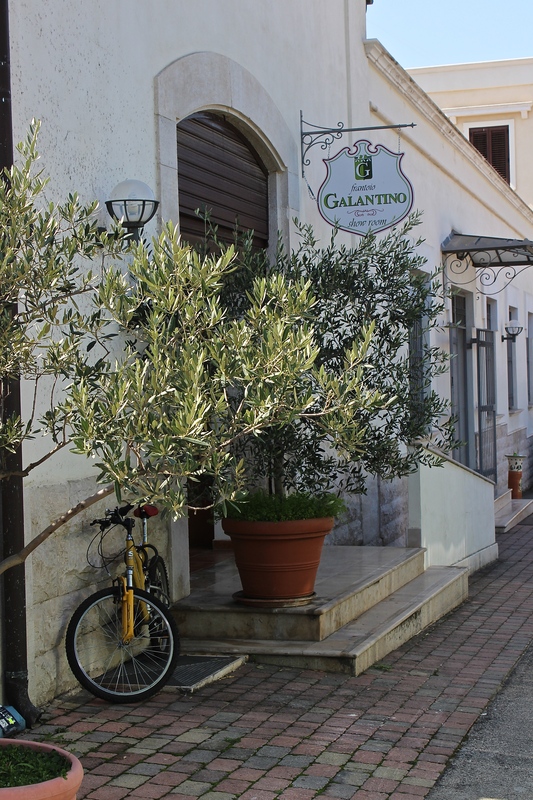 One of the highlights of my trip to Pulia was touring a 19th century olive mill and farm called Galantino. The family that started it all. Galantino is dedicated to the entire process of producing exquisite oil, sustainably with the least amount of impact on Mother Earth. 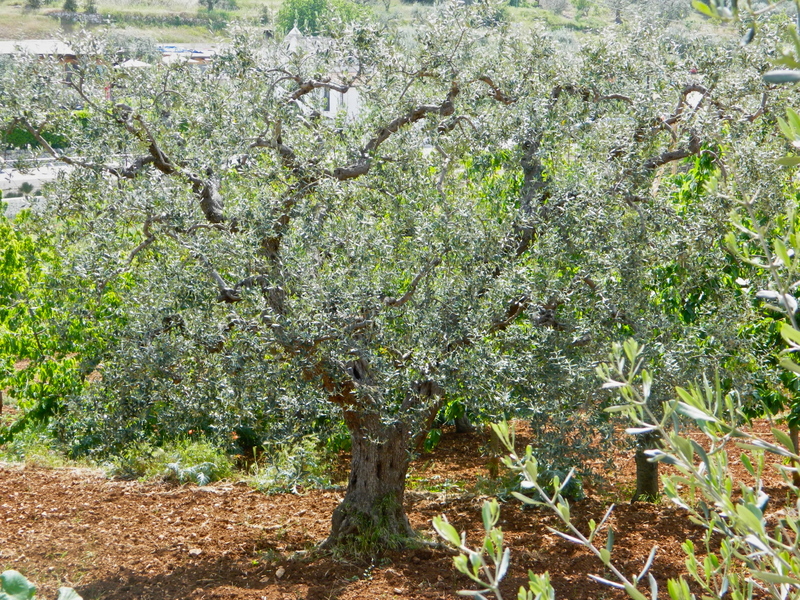 Most of the olives for their oils are grown on the estate from their over 15,000 trees. 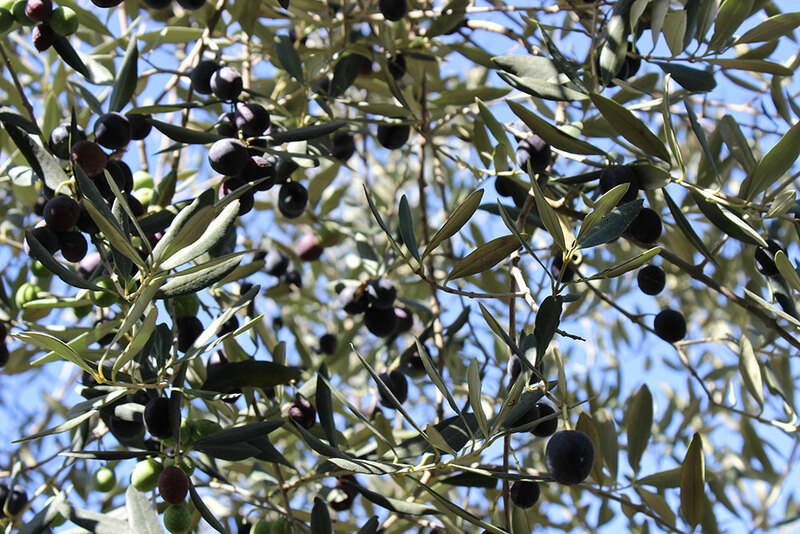 Olives are harvested in mid October through December and then crushed within a few hours and never more than 24 hours. 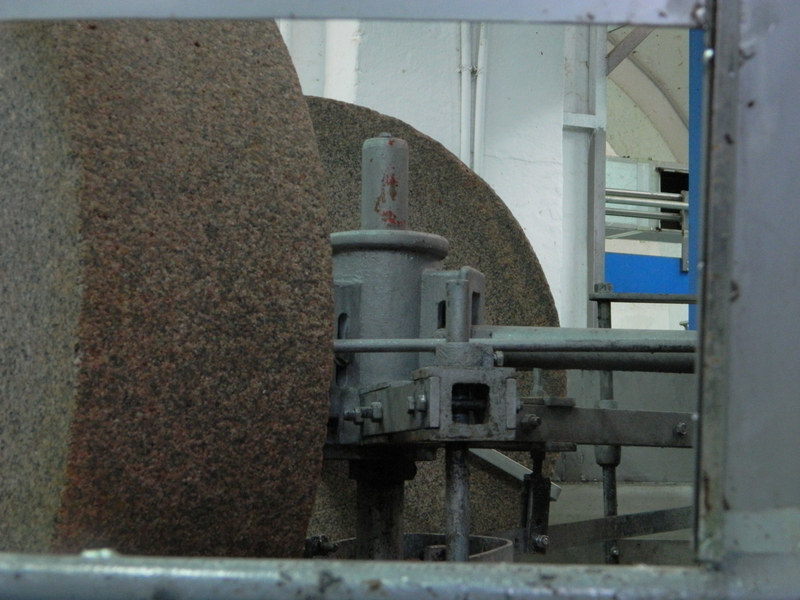 Mighty blocks of granite for the gentle press. 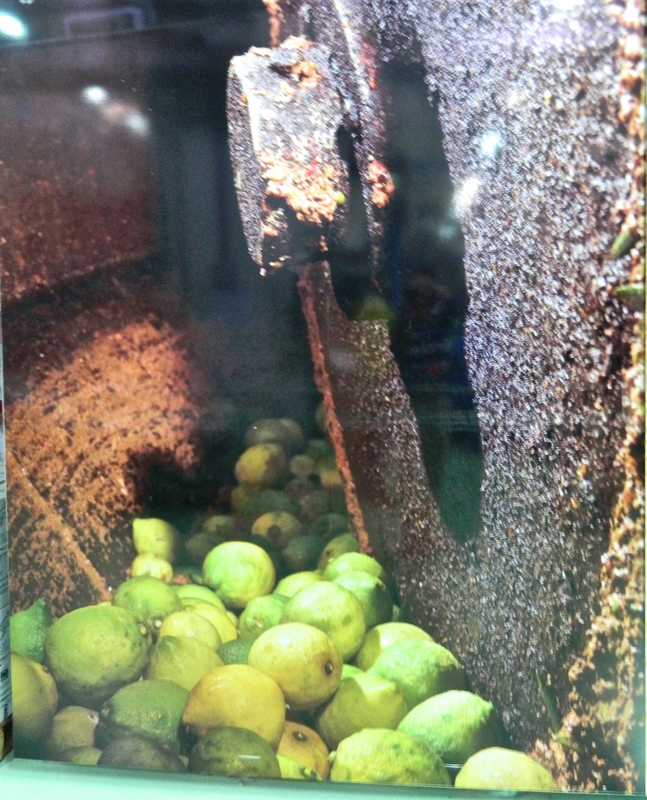 Giant granite rounds, which ensure a gentle, cool press, crush the olives employing the same techniques as the ancient Romans thousands of years ago. If the desired result is lemon infused olive oil, fresh lemons are crushed along with the olives. This method creates a bright, authentic fresh taste that makes my tongue revel with each sip. 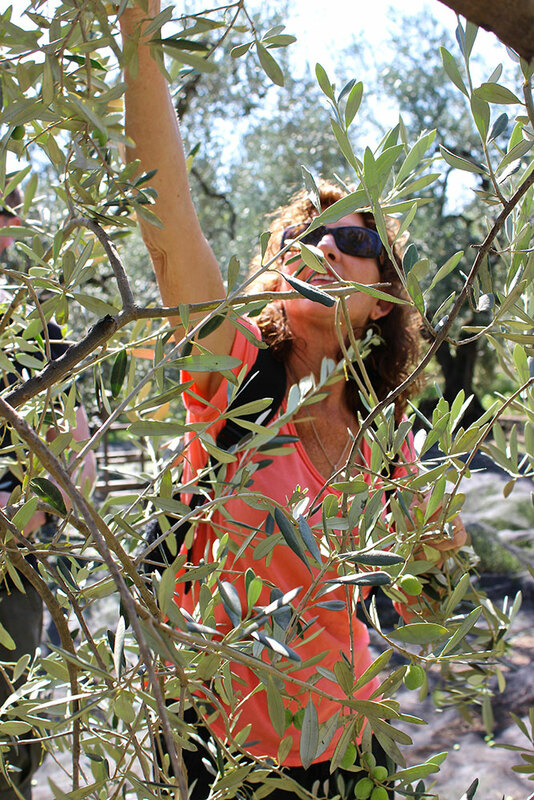 Our Italian guides gave us a lesson in tasting olive oil. Similar to tasting wine, you follow a protocol. Visually, look for a yellow/green/olive color; smell the aroma, an olive scent with tones of grass, almonds, flowers; and then sip. Taste first under the tongue for sweet and fruity. The next taste should be bitter and the third taste, hot, peppery, spicy. If you taste all these elements in a balanced and harmonious fashion, there is no added filler oil commonly included in less expensive olive oils. 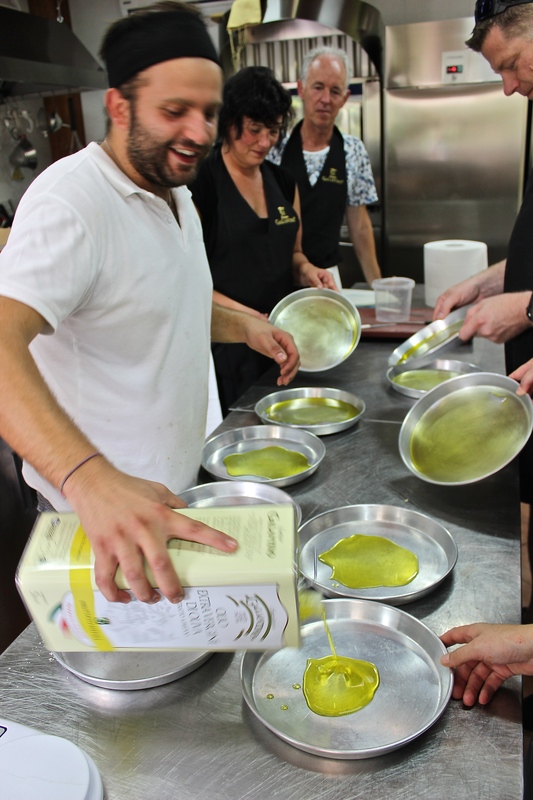 A specialty oil called L’Affiorato is the hand skimmed top 2-3% of the freshly pressed olives that naturally rises to the top of the olive paste after milling. 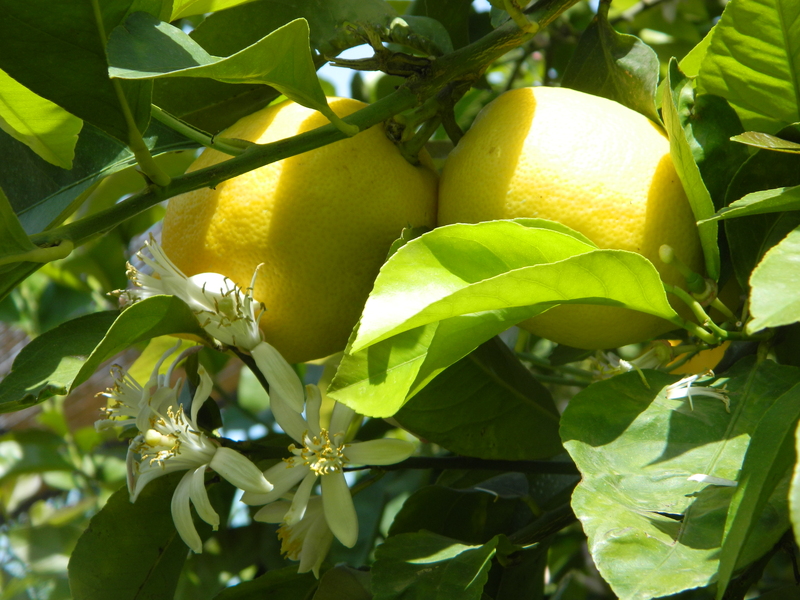 Its exquisite, delicate and fruity flavor lends itself beautifully as finishing oil. Many of the infused flavors we tasted. 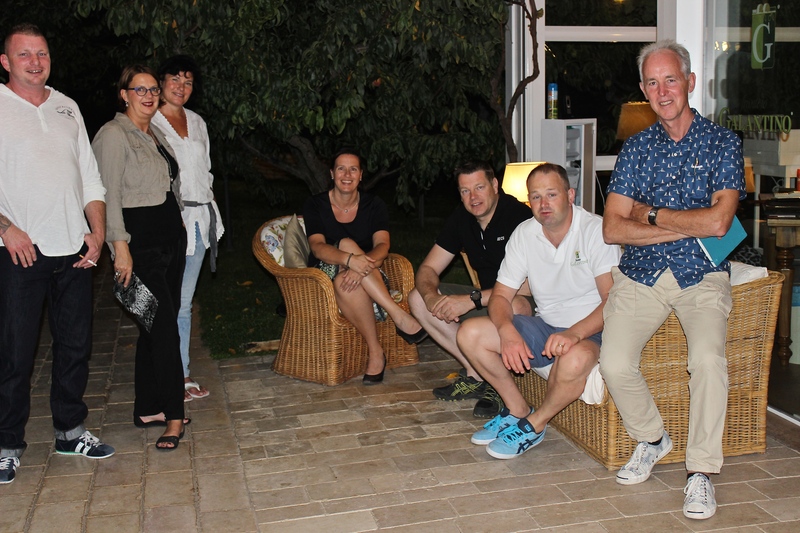 After our lesson in the production of olive oil, our host, Massimo, led us into an enchanting gazebo-covered garden where a tasting and lunch awaited us. 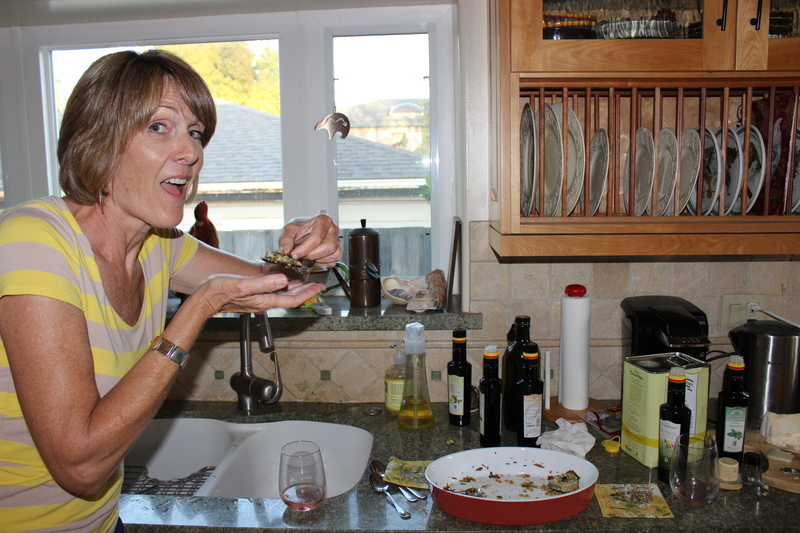 A plate with the olive oil to be tasted was passed around accompanied by chunks of Italian bread. 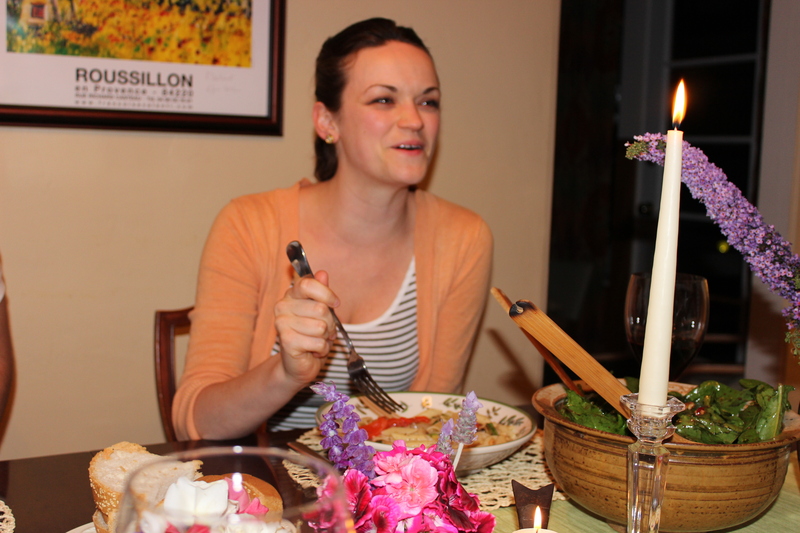 A unison of “oohs” and “ahs” sang out with the first taste of the olive oil soaked bread. 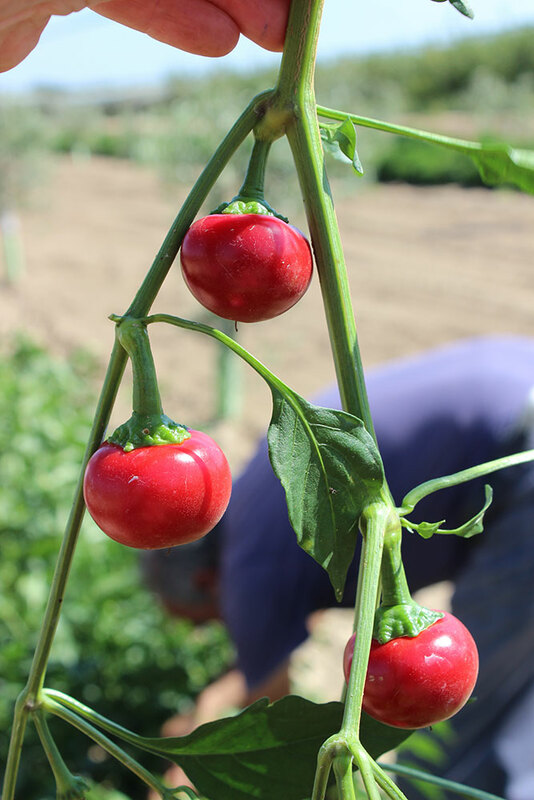 From subtle to spicy, the distinguished flavors filled every sense in my body: the beautiful surrounding, the smell of the blossoming lemon trees, the romantic Italian accents, the feel of happiness and warmth for just being here and finally the taste of purity, of Italy, of love. I was in heaven. Surrounded by citrus and olives. 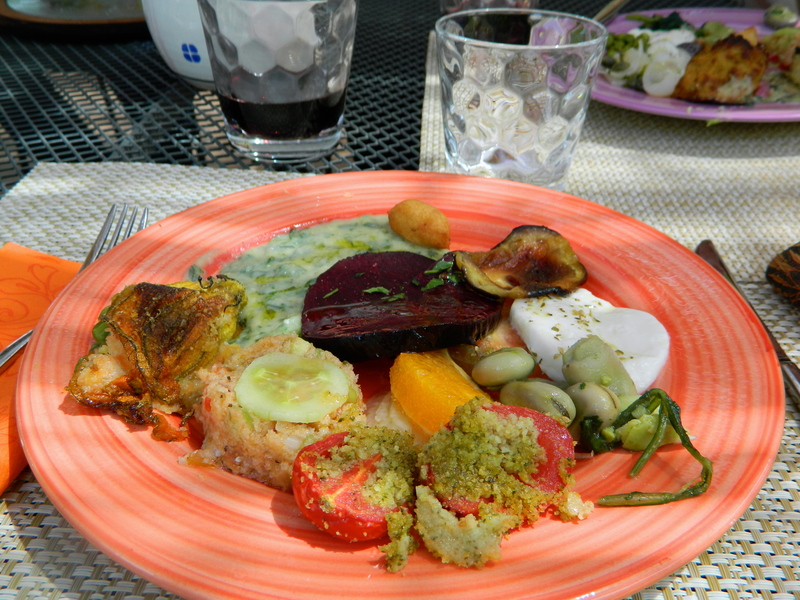 Following the tasting, Galantino’s chef prepared a lunch spread, antipasto style, using all the oils we had just tasted. A visual feast, I could taste each dish with my eyes. 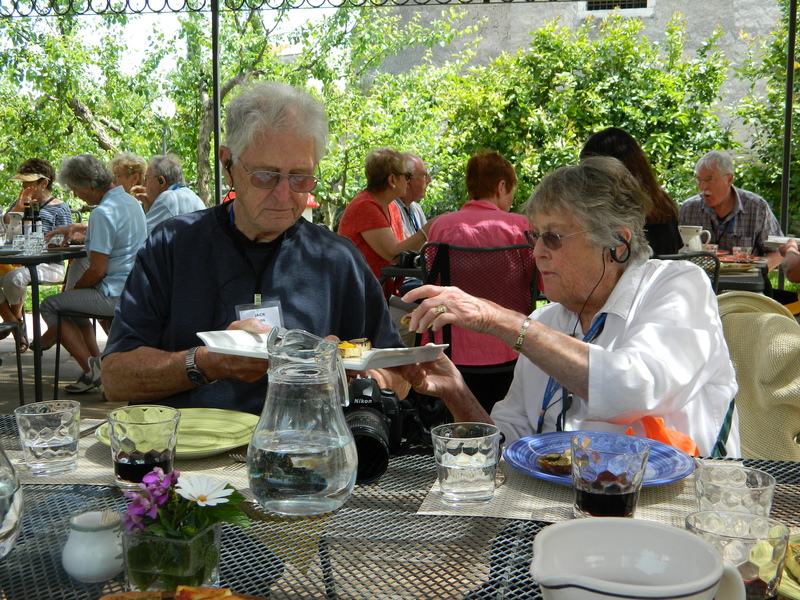 Jugs of local, delicious wine graced the tables. A more familiar caprese. The Italian cheese is so creamy. 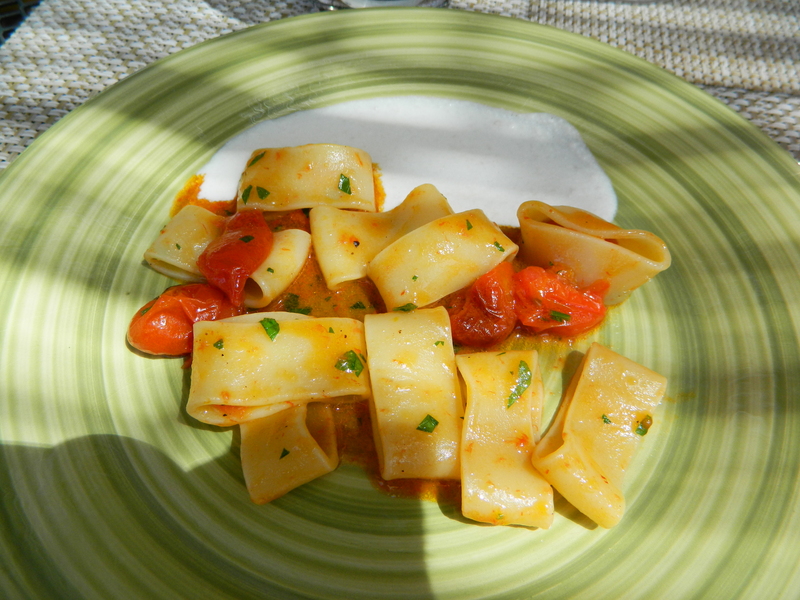 Pasta called “calamarata” probably because it looks like little calamari rings. Served with a fondue of pecorino. 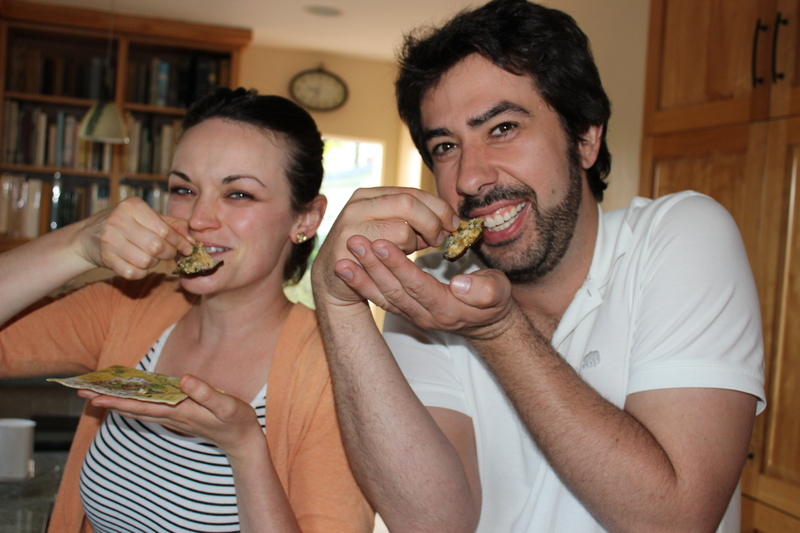 Sharing our enthusiasm for the food of southern Italy. 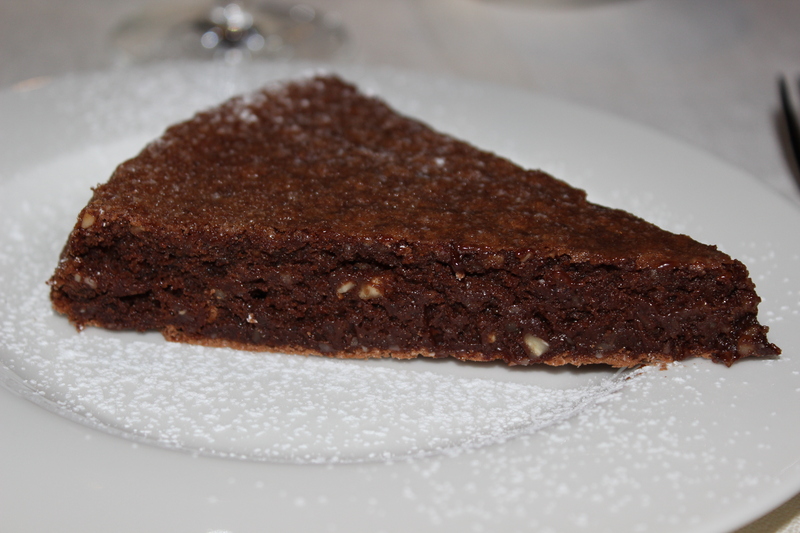 The dessert, a mandarin olive oil cake, moist and not overly sweet was simple yet sophisticated. 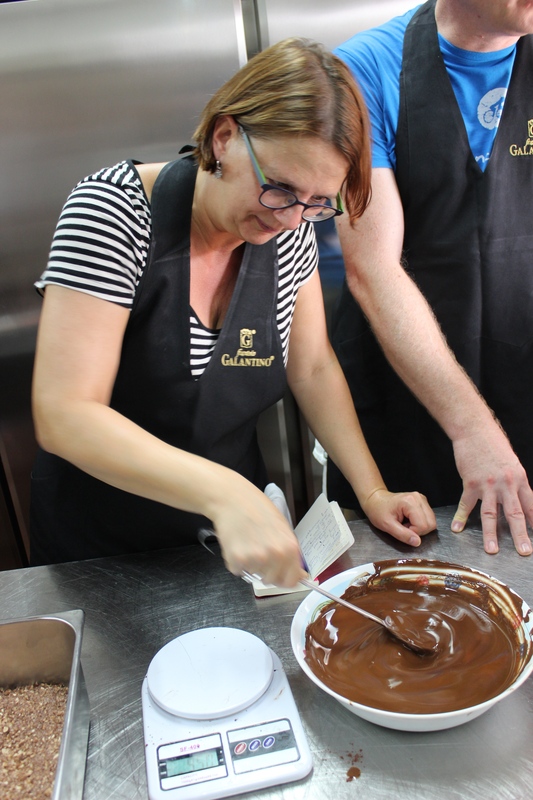 When asked about ingredients in the cake, the chef graciously gave us the recipe verbally. 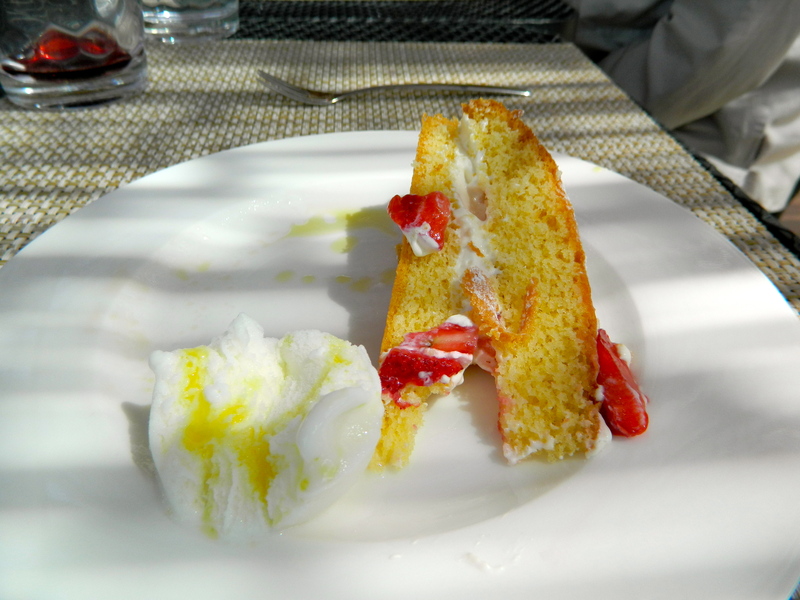 Mandarin olive oil cake served with orange sorbet, drizzled with more olive oil! Our bellies full and our minds, just a little fuzzy from the wine, we head down a pathway to their retail store. A shopping frenzy ensued. 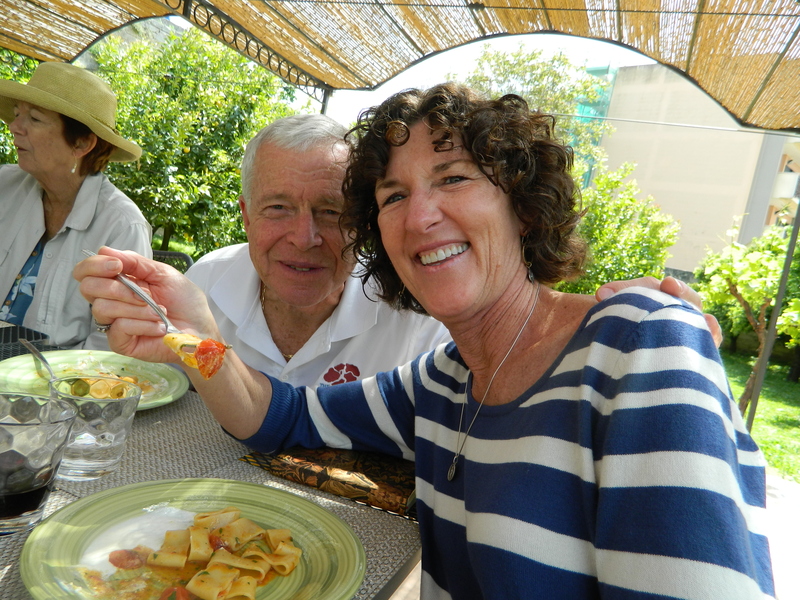 We are handed forms to fill out so we can have our “taste of Italy” shipped back home. 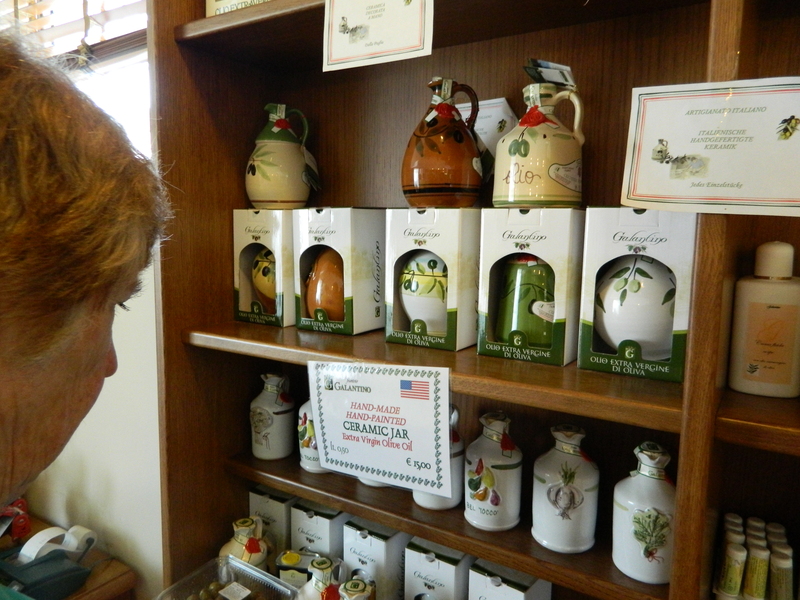 Since my mom and I decided that olive oil is our souvenir of the trip, we shop with abandon. 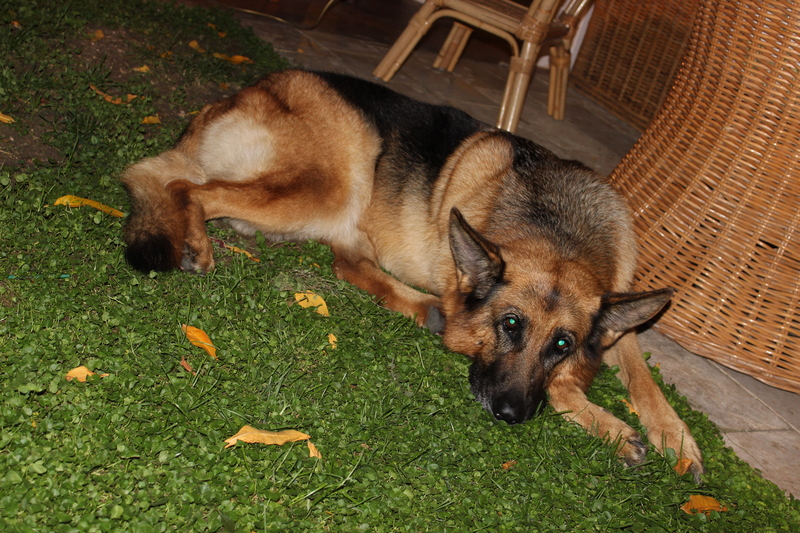 We both love to cook so I know we will use all the flavors within the year- a time frame for freshness. Mom deciding what to buy. Too many choices! 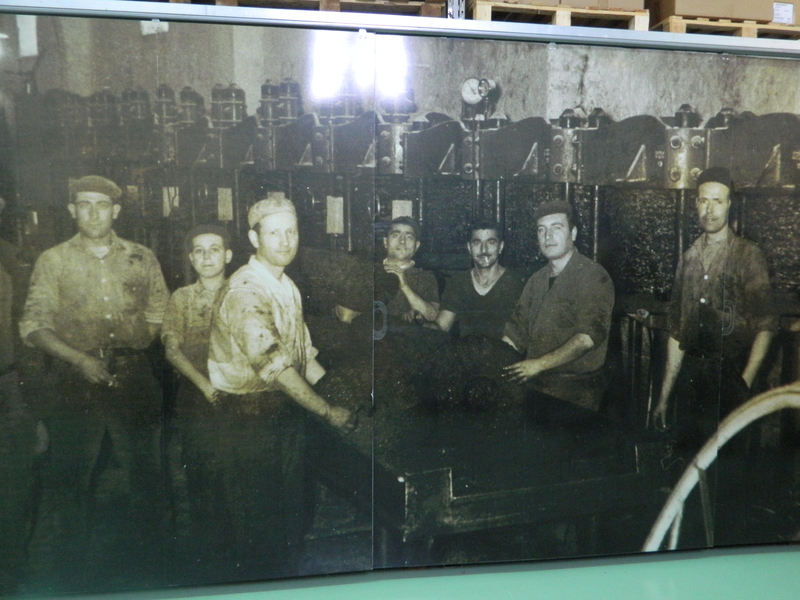 The helpful, handsome Italian men help us with our orders and assure us our oils will arrive in about two weeks time. The anticipation is already killing me! I keep reflecting upon the genuineness, if that is a word, of this company and their high standards. Granite, sustainable, local, sweet, bitter, hot and peppery are the images etched in my memory of this enlightening trip. 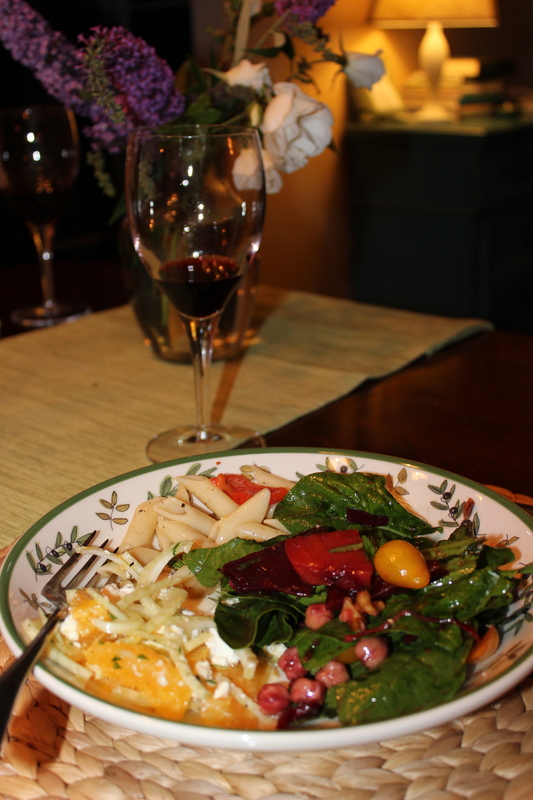 My mom and I tested the recipe given to us by Galantino’s chef and here it is with a few tweaks and twists. 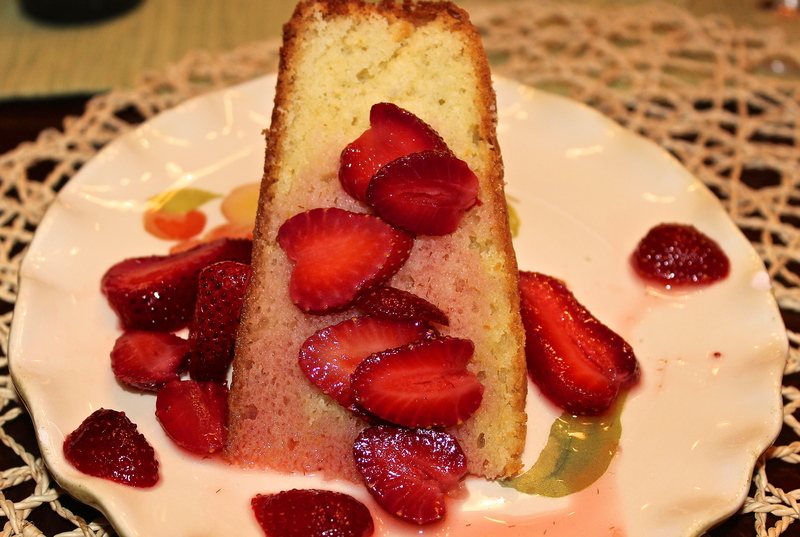 The texture is like a moist sponge cake, the aroma out of the oven resembles a lemon angel food cake – dreamy! 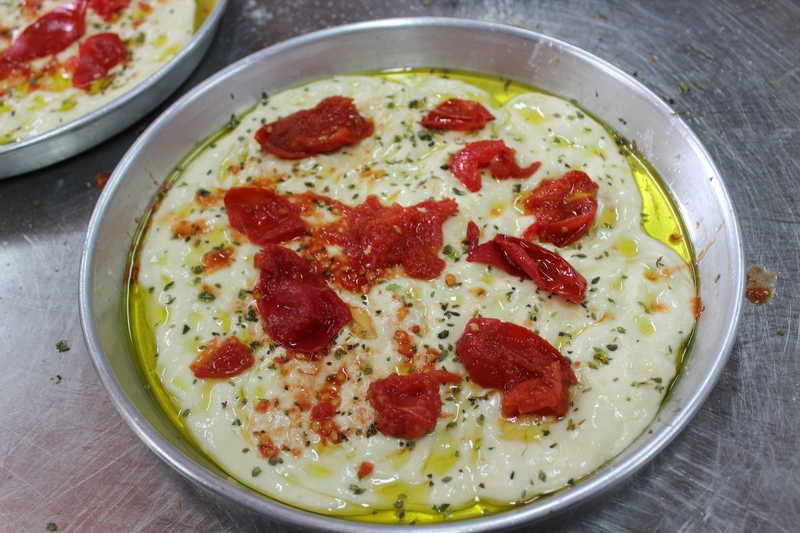 Feel free to improvise with orange olive oil. Line the bottom of a 8-9” springform pan with parchment paper. 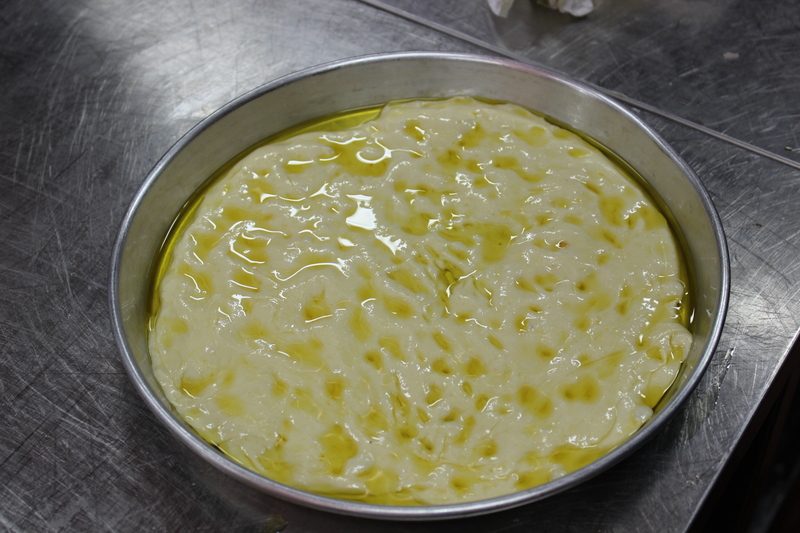 Oil the bottom and sides of the pan with olive oil. Stir together the oil, eggs, sugar and zest. 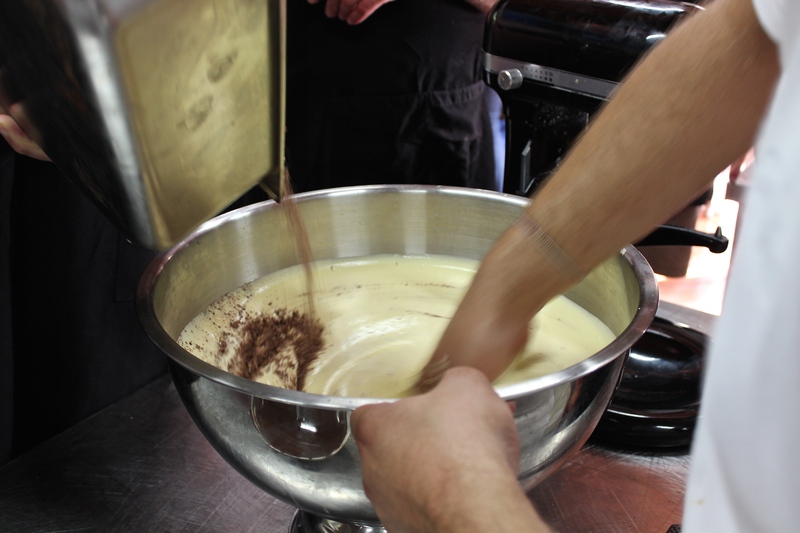 Add the flour mixture to the oil and stir gently just until incorporated. Bake for 30- 35 minutes. Test that a toothpick inserted in the center comes out clean. Cool in pan for 15 minutes. Run a knife along the sides and release the bottom of the pan from the sides. Cool completely. 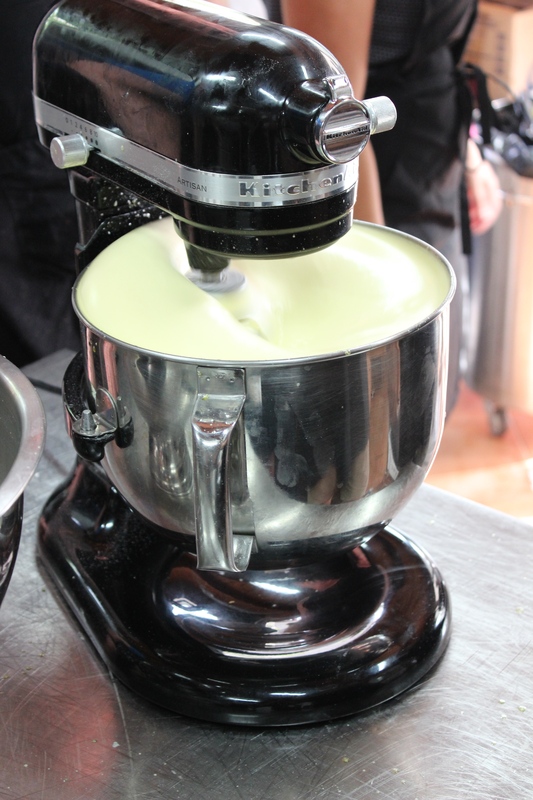 Serve with any fruit, cream, ice cream or gelato. This cake holds up well to an assortment of fillings and can be made ahead. There are so many ways to serve this simple dessert. You can also split the layer in half, fill the cake with whipped cream and sprinkle on some fresh berries or slices of summer fruit. 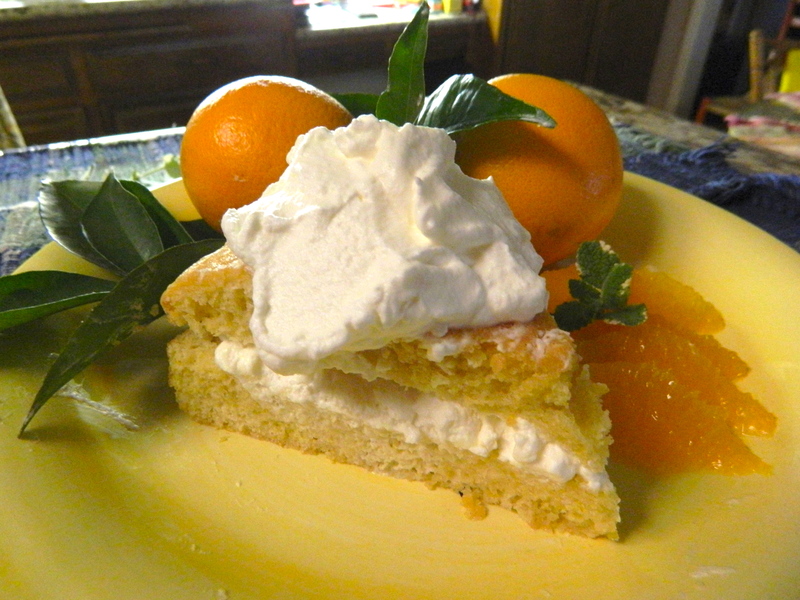 Garnished lemon olive oil cake with fresh orange slices and whipped cream.Let me know your versions!